Apr 23 2019 04:22 AM What are you working on for Duke right now? Apr 20 2019 12:50 AM What are you working on for Duke right now? Apr 19 2019 07:47 PM What are you working on for Duke right now? Apr 19 2019 07:46 PM What are you working on for Duke right now? Apr 19 2019 05:51 PM What are you working on for Duke right now? Apr 19 2019 05:17 PM What are you working on for Duke right now? 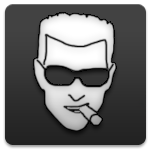 Mar 11 2019 04:17 AM Why did Duke Nukem 3D get all of the attention? Feb 26 2019 02:50 AM What are you working on for Duke right now?